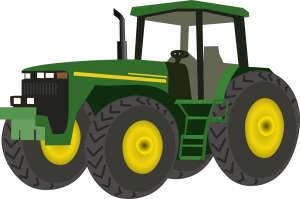 The 2019 Tractor safety course has been scheduled June 17-21 at Burlington High School. UW-Extension of Walworth, Racine, and Kenosha Counties. UW-Extension developed the program to allow families to be in compliance with Wisconsin Act 455, Section 10, which creates section 346.925 of the state statutes. No person may direct or permit a child under the age of 16 years to operate a farm tractor or self-propelled implement of husbandry on the highway unless the child has been certified under s. 36.25 (32) (a) 2. as successfully completing a tractor and machinery operation safety training course that is equivalent to the requirements, other than age, specified under 29 CFR part 570.70 to 570.72. Subsection (1) does not apply to operation of a farm tractor or self-propelled implement of husbandry on the highway on a course that is perpendicular to the direction of the highway. ages 14 -15 who will be employed or working without pay on a farm other than their family farm and completes the requirements for a federal certificate of training. Note: The minimum age requirement for this class, as set in WI Act 178 effective May 1998, is 12. The course and literature are geared towards 14-15-year-olds. This doesn’t restrict someone age 12 or 13 from taking the course, but the material may be more difficult for a younger individual. Certification will not be valid until the youth turns 14. Also, youth who do not pass the written and driving exams will need to retake the course. The Tractor Safety program offered in Walworth County provides 24 hours of instruction and includes traditional classroom time, as well as several hands-on activities that teach youth equipment and farmstead safety. Materials used in the classroom phase are written for 14-year-olds, so you need to be aware that your child may find the material a bit more difficult should he or she take the course at age 12. To successfully complete the course, participants need to attend 24 hours of training, pass a written exam with a score of 70% or greater, and pass a driving exam that demonstrates operating ability in driving a tractor pulling a piece of equipment. After successfully completing the program, participants will receive the state certificate acknowledging that they can legally operate equipment on a farm. The Federal certificate is held by our office until participants reach their 14th birthday; at that point, the Walworth County UW-Extension Office mails them out. Our goal in offering the Tractor & Machinery Safety Certification Course is two-fold. First, it provides parents with an opportunity to meet State and Federal mandates for children who will be operating farm equipment. Second, and equally important, our efforts are meant to keep our children safe on the farm and the busy highways we deal with in agriculture today.